Today's post is a tribute to the Dude's favourite show: Adventure Time! 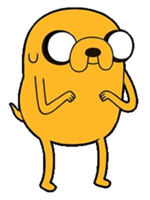 Jake the Dog - It's Mathematical! 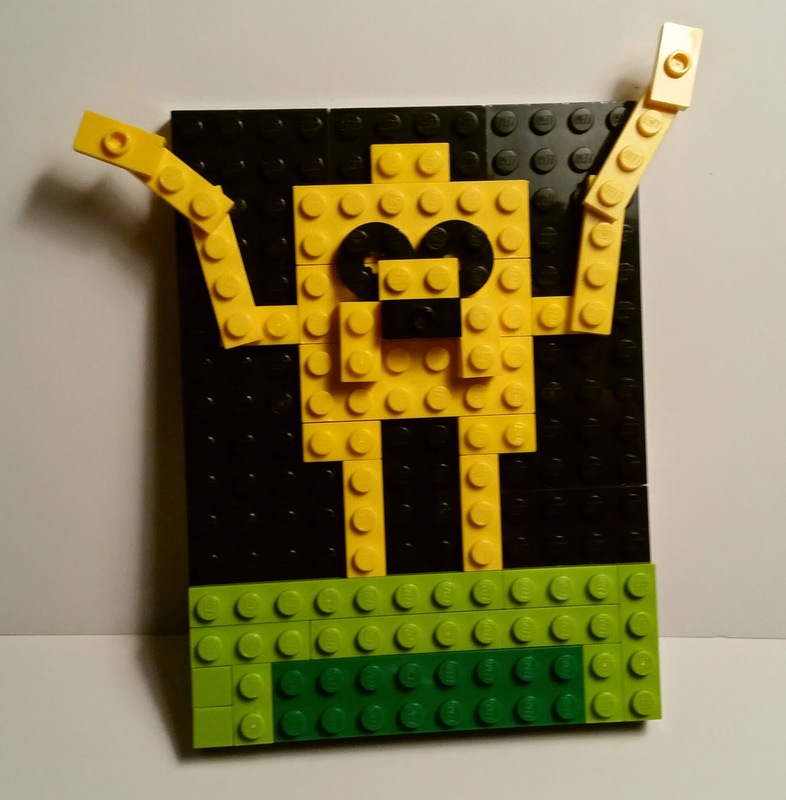 The style of the piece was based on a number of 2-D style Lego boards I found online. As with all of the builds I'm doing this month, I had to modify the design to suit the yellow pieces I could find in our Lego pile. In fact, we have very few different styles of yellow pieces, which is why this design is so linear. There wasn't a curve in the lot!